Apuan Alps Versilia. Few kilometers from the house. 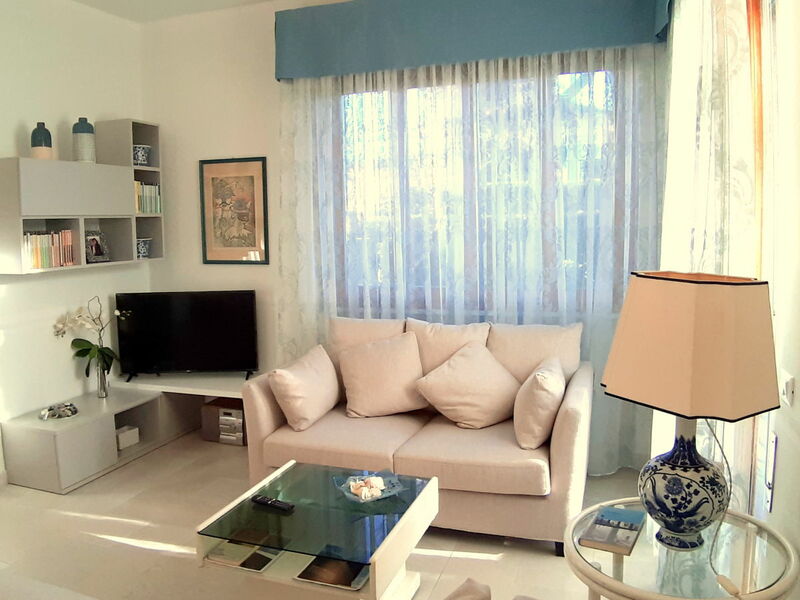 Clean, comfortable and equipped with all the amenities you need, the house is ideal for families, leisure or business travelers. 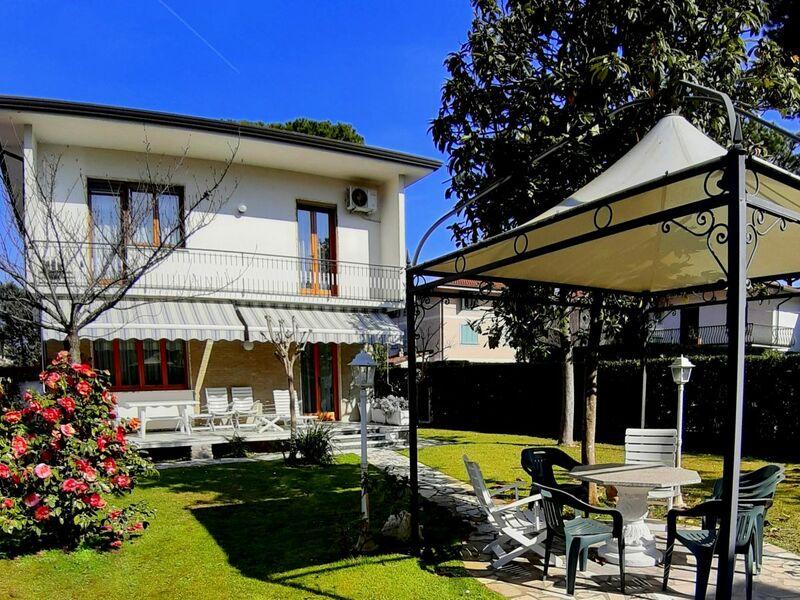 This lovely house is located in a relaxing environment only 400 mt. 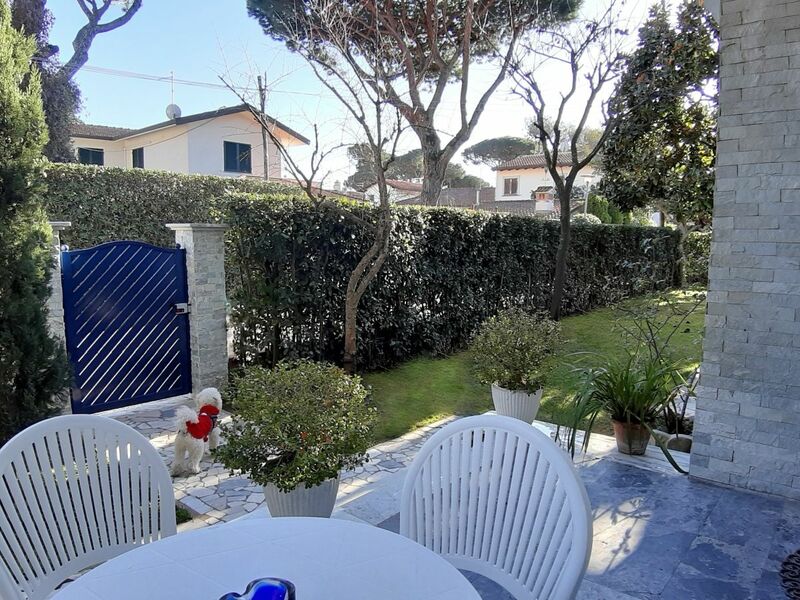 from the beaches of Forte dei Marmi and few meters from all sevices and shops. 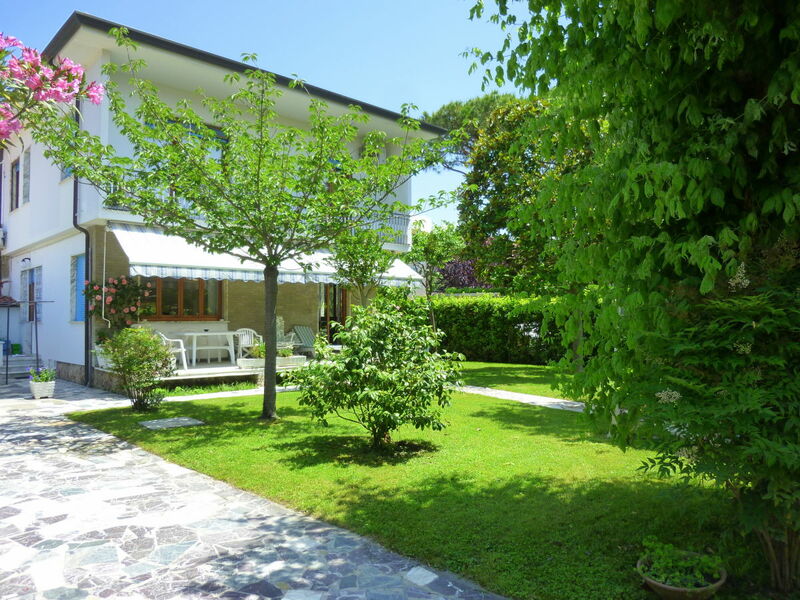 The house furnished with taste and equipped with all amenities is surrounded by a garden of pines and oaks. The house is laid out over two floors. 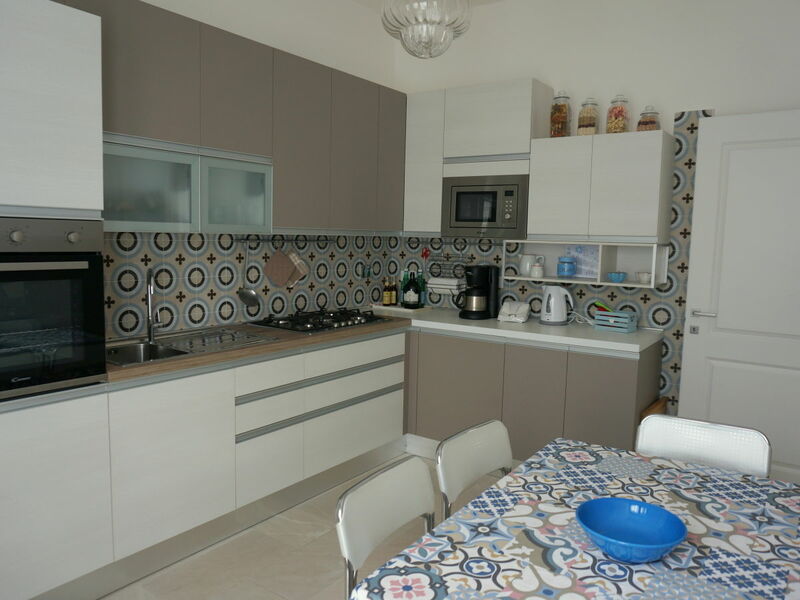 GROUND FLOOR:new full equipped kitchen,1 bathroom,a large dining and living room equipped with 2 large comfortable sofa,TV flat screen 42”, Wi-Fi internet. 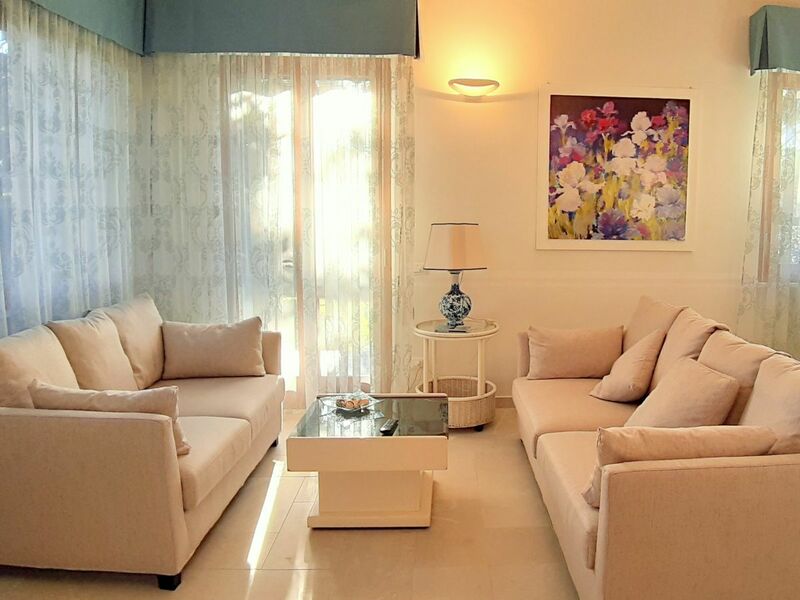 The living room opens onto the lovely spacious terrace where you can sit out and enjoy your meals “al fresco” .The terrace equipped with table, chairs and sun loungers leads to the garden . 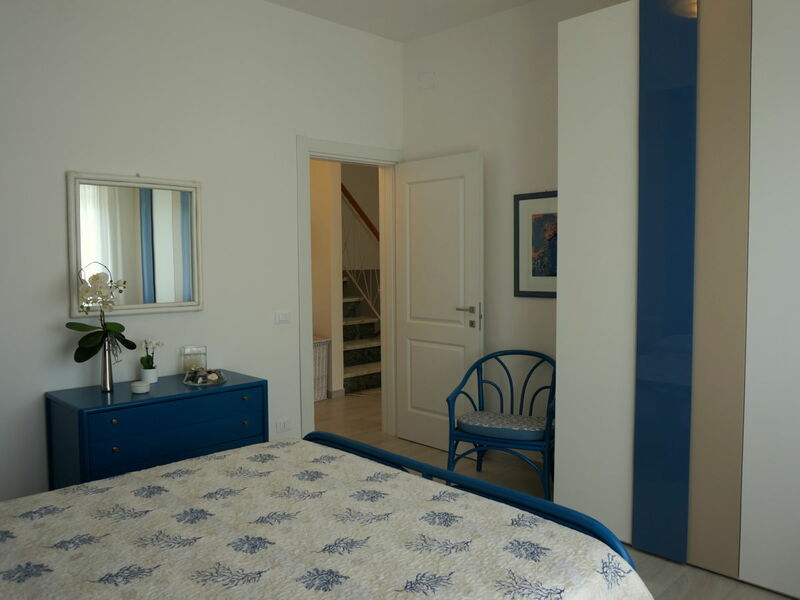 FIRST FLOOR: 2 double bedrooms with balcony and air conditionig, 1 bedroom with 2 single beds and air conditioning, 1 bathroom. 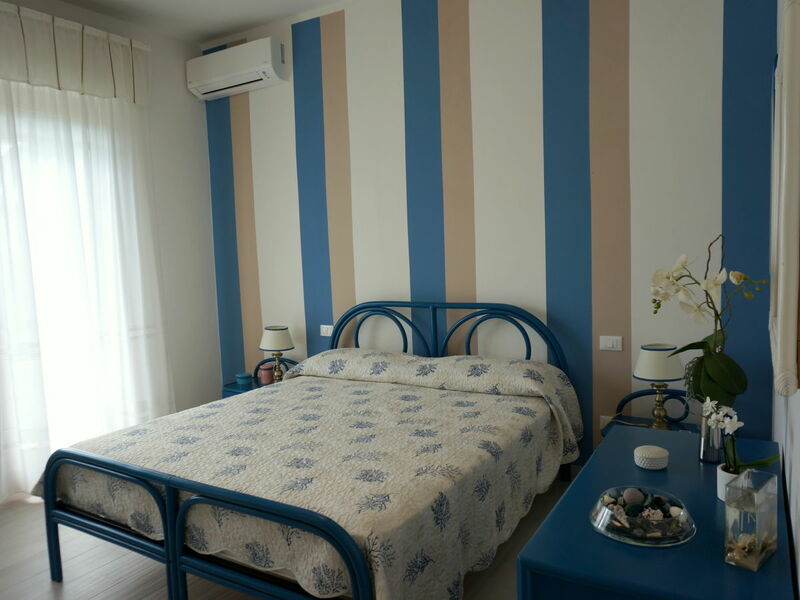 The villa is provided with AIR CONDITIONING ,INTERNET WiFi connection ,TV SAT. 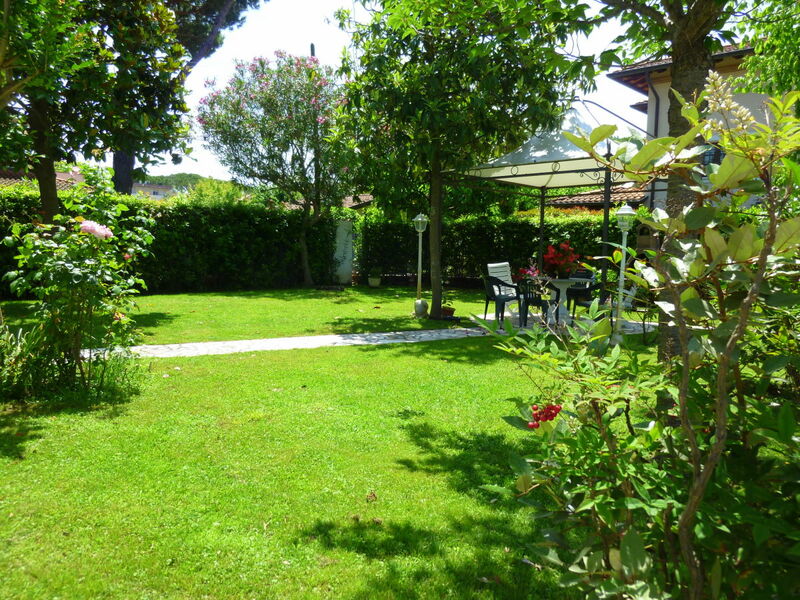 The Fenced garden ,safe for children, has 2 covered parking spaces, pedestrian gate and gate automatic driveway. 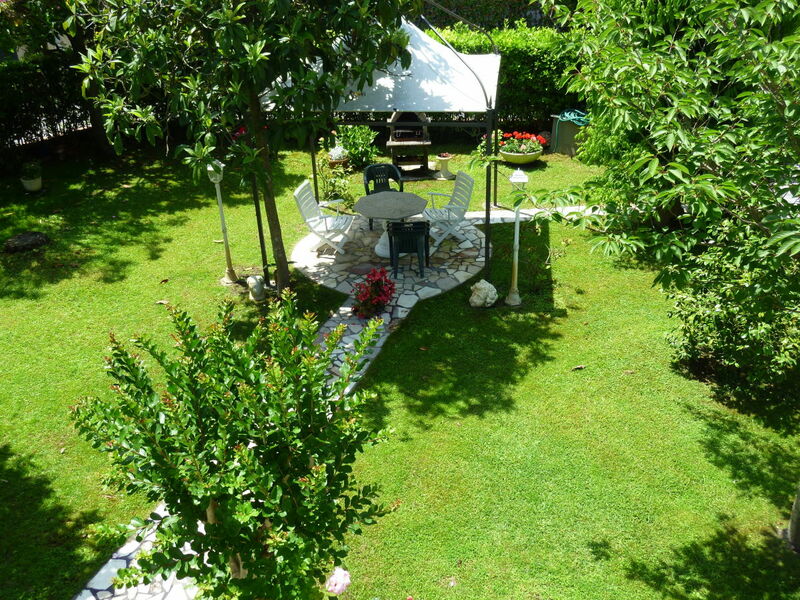 The garden is also equipped with table, chairs, a gazebo and a barbecue. 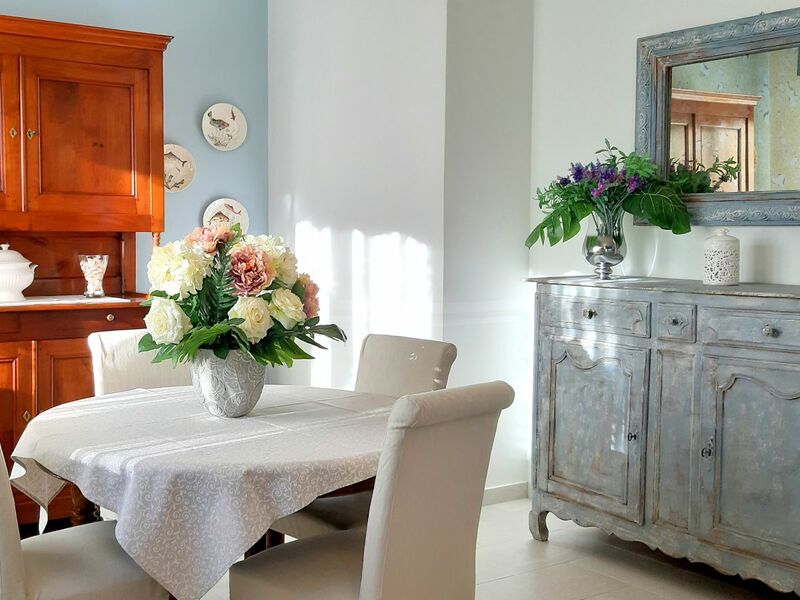 The house is ideal for those who love the sea, the mountains and the cities of art, in fact, the entire coast offers fun and entertainment to its guests, while the interior will amaze you with nature, culture, history, traditions and art. 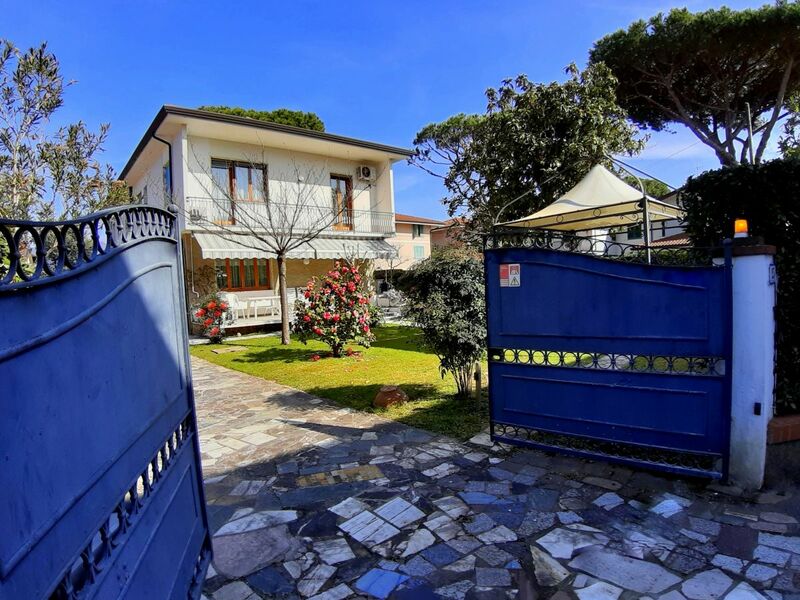 Villa Alcione is located in one of the most fascinating and uncontaminated areas of Versilia, the famous marine area of Forte dei Marmi. 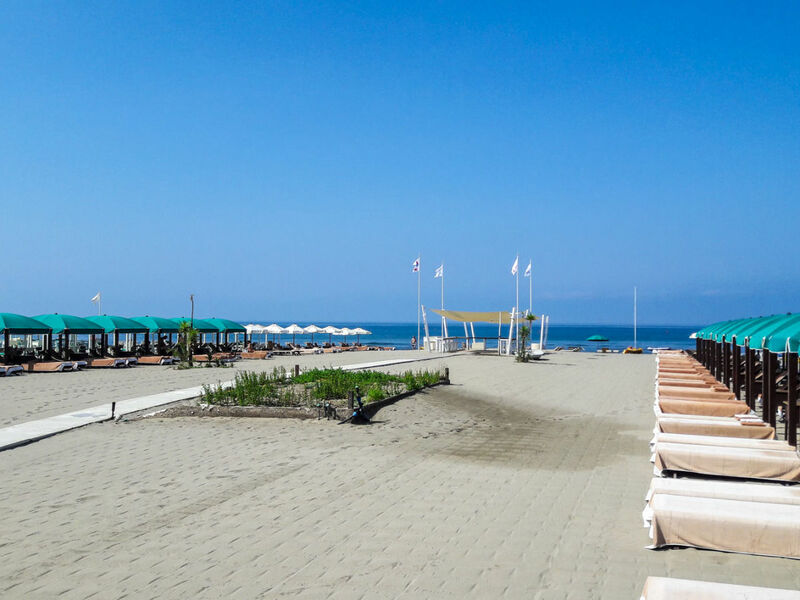 It is located on the coast and the distance is 400 meters from the beach about 5 minutes walking. 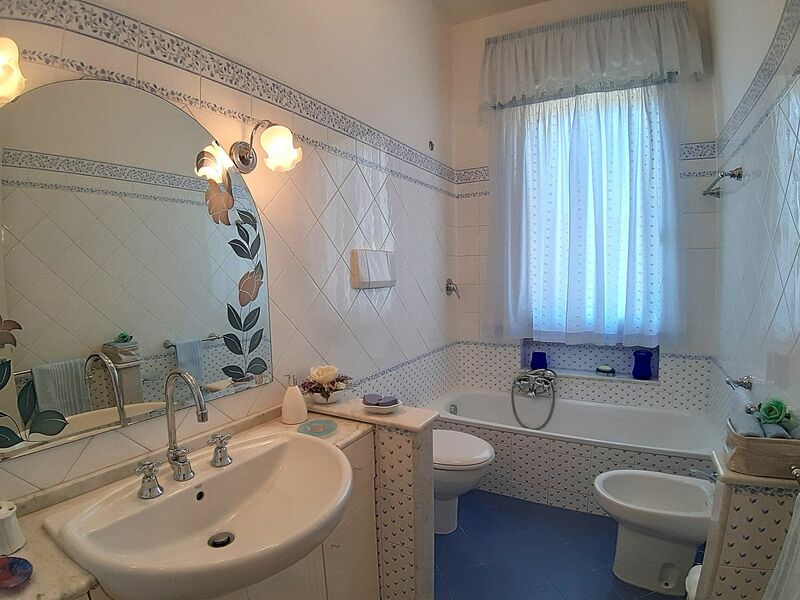 Situated in a quiet residential area. 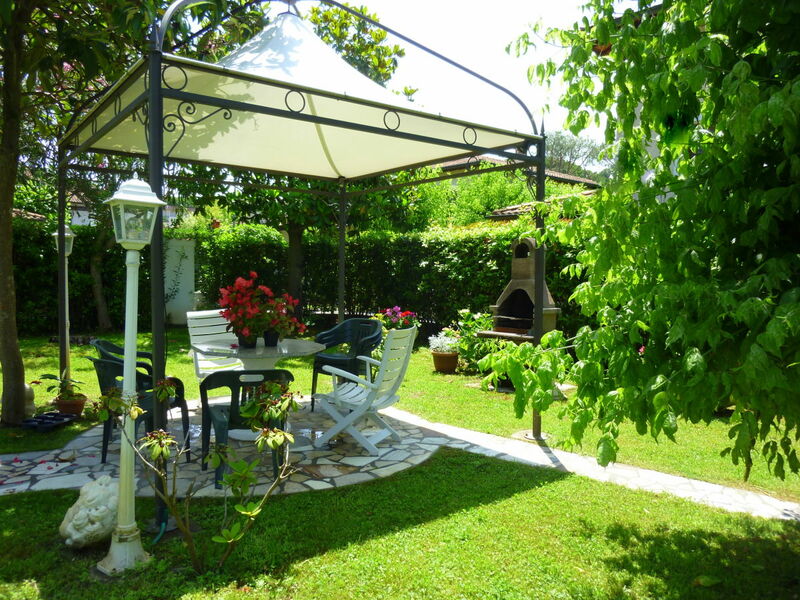 Only 400 meter from the sea, a few Kilometres from the Apuan Alps. 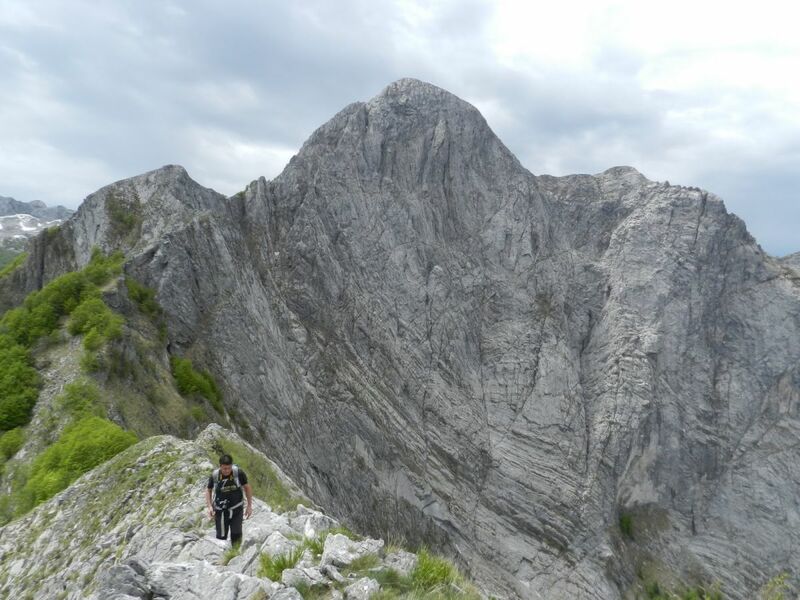 To the north-east is the mountainous area of the Apuan Alps , with its ancient stone villages, waterfalls and hiking paths with breathtaking views. You can visit with daily trips Florence, Pisa, Lucca, San Gimignano ,Siena or the Chianti Region. The lovely town of Pietrasanta, home of many artists and stone sculptors, is a 10 minute car ride away . 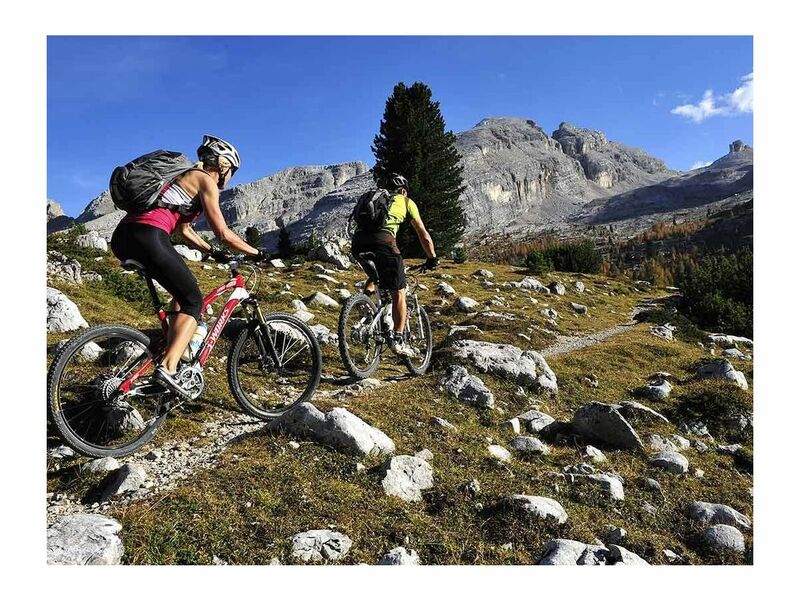 Many natural beauties and parks such as Cinque Terre , Apuan Alps , the Tuscan Archipelago, the marble quarries in Carrara , can be reached in a very short time . 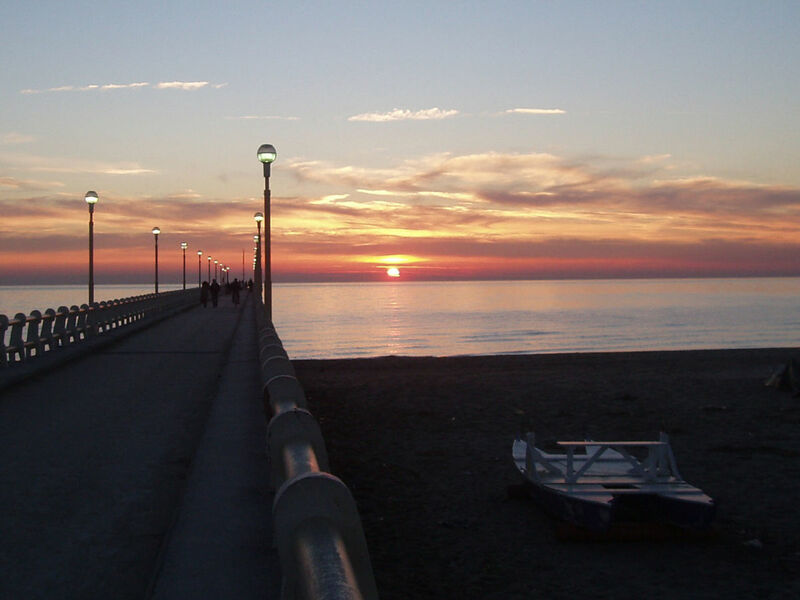 Versilia is a lifestyle. It's possible to mix crazy nights with others of complete relax. 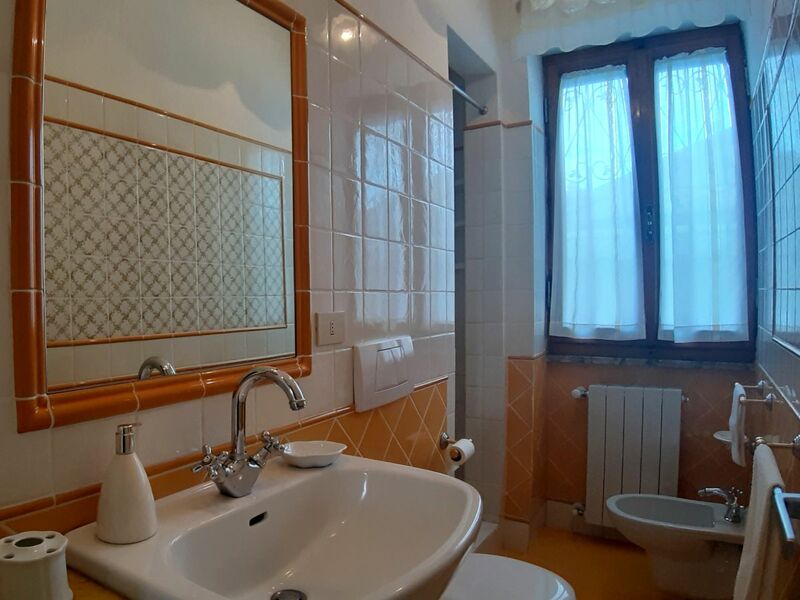 Within walking distance all services: pharmacy, small supermarket, gastronomy, bar, ice cream parlor, hairdresser, pizzeria, restaurants, post office, herbalist. 2. If the client cancels the booking less than 60 days before the arrival day the deposit is not refundable . 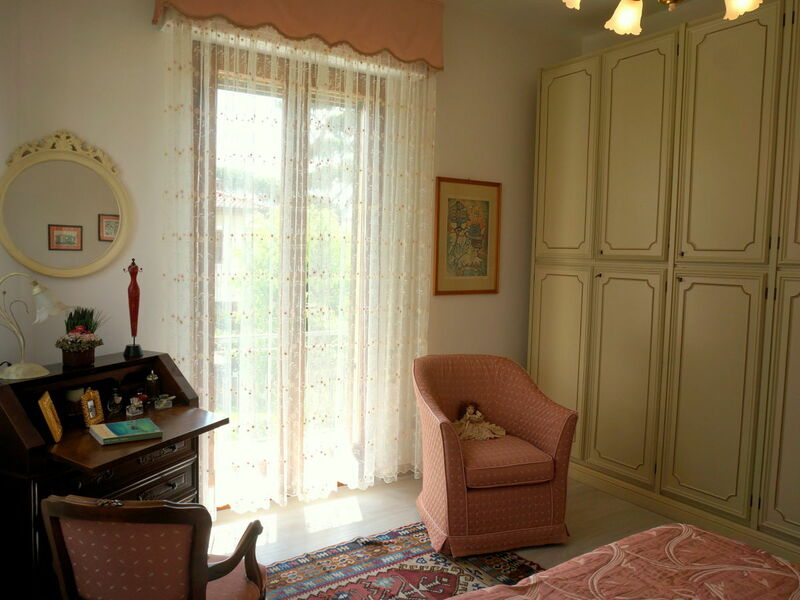 Lorella and Fabio, homeowners present themselves ... We will welcome you at the house on arrival. 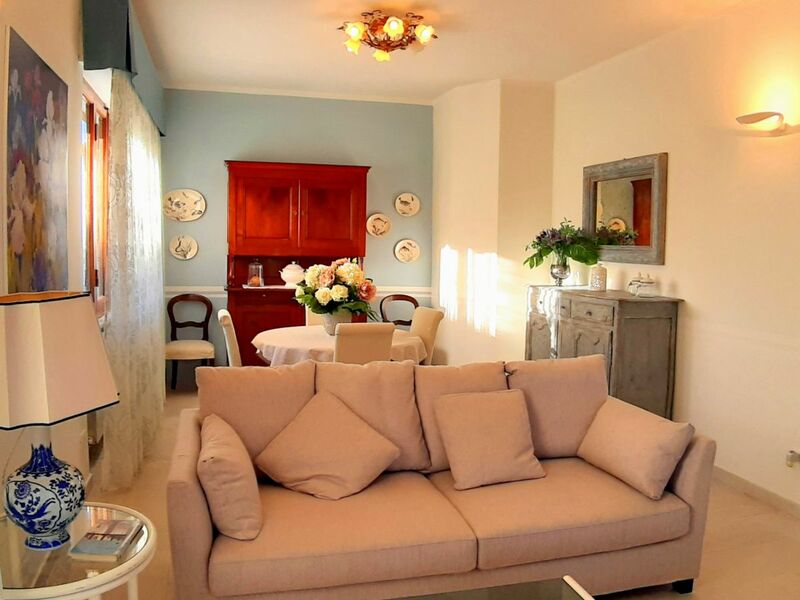 We will provide you with 2 sets of keys and all the information you will need for your stay. 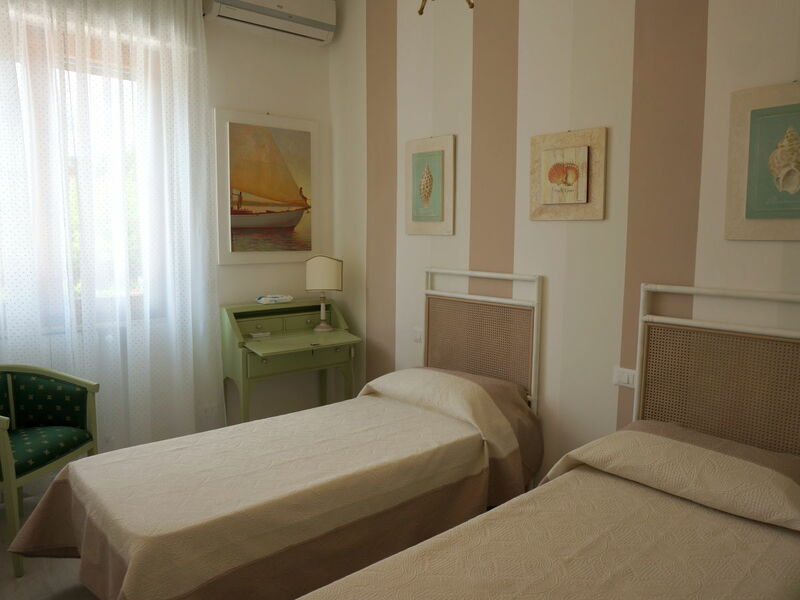 We will be available personally throughout your stay and will be happy to advise you before and during your holiday in Villa Alcione to make your stay as enjoyable as possible. 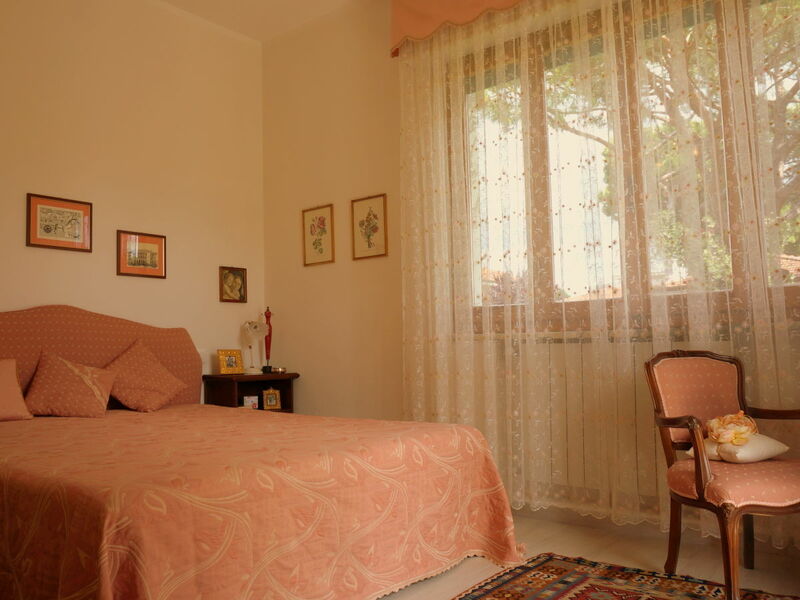 We take great care with the comfort, cleanliness and excellent condition of villa Alcione.